When looking for a home to rent in Atlanta, you have a few options when it comes to location. First, you must decide if you want to live ITP or OTP. If you aren’t familiar with the lingo, you will be soon, but essentially, it means “inside the perimeter” or “outside the perimeter,” with the perimeter being Interstate 285 that circles the city. Homes ITP tend to be more urban, while those OTP offer suburban-style living. Once you have picked a general area, it’s time to settle on a neighborhood. You want to find something that fits your style, offers the type of housing you are looking for, and is within a reasonable distance of your place of employment. For example, if you love a night out on the town, you may want to focus your search on homes in Buckhead, Atlanta’s uptown district known for its restaurants, clubs, and shopping. If you work in Midtown and want to live nearby, you might consider a neighborhood like Druid Hills or Virginia Highland. Atlanta is a busy city, which means people are always coming and going. Just because you can’t find a place in the neighborhood of your dreams one day doesn’t mean it won’t be there the next. Use as many resources as possible, and check each one daily. Once you do find something, inquire about it quickly, because there are probably several other people out there searching, too. 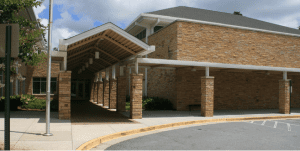 Many parents look to rent a home near one of Atlanta’s fine schools, like Sarah Smith Elementary. If you have a pet, make sure you are only searching for pet-friendly rentals. If you don’t have furniture, make sure you are only searching for furnished homes. Maybe you have kids, and you are looking to rent a home near one of Atlanta’s fine schools like Morris Brandon Elementary or Sarah Smith Elementary. Make a list of your must-haves and keep it handy. If you have trouble finding a place on your own, consider getting help from a top firm like Your Atlanta Rentals. Call 866-331-6626 to find out how they can help you find your Atlanta dream home today.